This entry discusses the prospective liberalisation of the legal services market of the Association of Southeast Asian Nations (ASEAN). The goal of the ASEAN Economic Community (AEC) is to transform ASEAN into a “single market and production base,” which aims to substantially remove restrictions on services sectors by 2015. ASEAN governments have also called for the “progressive liberalisation of trade in legal services”. Against this background, this entry examines ASEAN countries legal services commitments in the World Trade Organisation (WTO) and under free trade agreements (FTAs), as well as a potential roadmap for further reforms. Legal services refer to advisory and representation services related to legal proceedings. Such services generally exclude the administration of justice because it concerns “the exercise of governmental authority” as defined by the General Agreement on Trade in Services (GATS). At the WTO, four ASEAN states entered into commitments in legal services in the Uruguay Round and five countries made legal services offers in the Doha Round. According to the AEC Blueprint, ASEAN states should substantially remove restrictions on trade in legal services and develop various Mutual Recognition Arrangements (MRAs) governing legal services. In 2010, the eighth package of commitments negotiated under the ASEAN Framework Agreement on Services (AFAS) incorporated legal services commitments and five countries made specific commitments. The 2012 ASEAN Agreement on the Movement of Natural Persons (ASEAN Agreement on the MNP) further facilitated the ASEAN lawyers’ “temporary entry and temporary stay” in the bloc. Furthermore, ASEAN’s external FTAs have influenced the legal sector. Since 2002, ASEAN as a whole concluded FTAs with China, Korea, India, Japan, as well as Australia and New Zealand. Several FTAs feature legal services commitments. Nonetheless, ASEAN states’ WTO and FTA commitments present multi-faceted problems of enforcement and misrepresent the actual degree of liberalisation. First, a potential loophole lies in the non-uniformity of interpretation of commitments, as states that have entered into these commitments are permitted to adopt their own interpretations. For example, Vietnam excluded “legal documentation” services from its commitments in the WTO, the AFAS and other ASEAN FTAs. While such services can be defined to include drafting of “commercial contracts”, it remains unclear whether such contracts can be based on Vietnamese law or should be limited to foreign law. In 2012, Vietnamese law firms lobbied the government to expand the definition of legal documentation services, so that foreign law firms would be barred from preparing Vietnamese law contracts. Although the Vietnamese government declined to adopt this protectionist stance, this incident demonstrates the problem of interpreting legal service commitments. Second, the legal services commitments under the AFAS and ASEAN’s external FTAs are almost identical. In practice, compared with the treatment of their Australian or Chinese counterparts under ASEAN’s external FTAs, ASEAN law firms and lawyers are not accorded preferential treatment under the AFAS. Also, certain commitments are rarely utilised. For instance, Malaysia’s commitments allow foreign law firms to be established in the Federal Territory of Labuan, but no foreign law firm has set up branches on the island. Third, Singapore and the Philippines made limited legal services commitments in the WTO and in FTAs, but they mark the two ends of the spectrum with respect to foreign law firms. 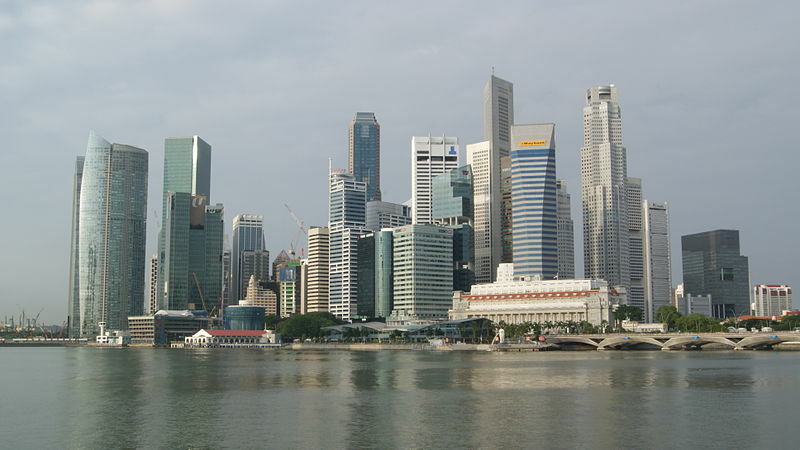 Singapore has significantly liberalised the legal market over the past decade. For instance, Singapore’s FTAs with Australia and the United States included recognition of law degrees in selected schools for admission to the bar purposes. Recent efforts to enhance the structure of Joint Law Ventures and to introduce Qualifying Foreign Law Practices have furthered the internationalisation of the local market. The Philippines, along with Indonesia, maintains one of ASEAN’s most restrictive regimes on “commercial presence” (known as Mode 3 under the GATS) of foreign law firms. The Philippines Constitution bestows the exclusive power to regulate “the admission to the practice of law” on the Supreme Court. The Court’s 1985 decision that banned Baker & McKenzie from practicing law due to its “alien law firm” status continues to apply (Dacanay v. Baker & McKenzie, Adm. Case No. 2131 (1985)). Finally, most ASEAN states have indicated their most conservative stance on the presence of natural persons by entering “unbound” in the Mode 4 section in legal services commitments. Such “fly in, fly out” practice is critical to international and regional law firms. Notably, the ASEAN Agreement on the MNP only incorporates the principle allowing the movement of professionals. Foreign lawyers may run into the danger of committing the unauthorised practice of law pursuant to the government’s interpretation of ambiguous rules. The case of Malaysia illustrates this problem. The Malaysian Legal Profession (Amendment) Act 2012 rendered foreign lawyers’ temporary advisory services concerning non-Malaysian law illegal. As the rule caused grave concerns to international firms, the Malaysian Bar Council subsequently decided to amend the Act to allow foreign lawyers to temporarily practice non-Malaysian law up to 60 days each year. The enforcement issues highlighted above undermine the intended result of liberalisation. A constructive roadmap is important to revitalising ASEAN’s legal services negotiations. The initial step is to deepen the harmonisation of ASEAN legal systems. Legal harmonisation in ASEAN has been conducted through a soft-law approach. Pertinent measures include the implementation of ASEAN’s Intellectual Property Rights Action Plan, Regional Guidelines on Competition Policy, and MRAs on various industrial standards. Prospective efforts should focus on expanding these areas and enhancing periodic reviews of ASEAN states’ compliance. An equally important harmonisation effort is to accelerate the mutual recognition of arbitral awards and court judgments within ASEAN. With Myanmar acceding to the New York Convention in 2013, arbitral awards issued in contracting states can be recognised and enforced in ASEAN. The next step is to adopt an ASEAN version of the Hague Convention on Choice of Court Agreements that deters forum shopping and enables the recognition and enforcement of civil and commercial judgments within ASEAN. Furthermore, from the perspective of law firms, establishing a permanent basis in ASEAN member states will facilitate the provision of legal services. Indonesia and the Philippines have banned Mode 3 commercial presence of foreign law firms entirely, whereas some other ASEAN states have restricted practice areas and types of associations. The prospective packages of commitments under the AFAS should liberalise the commercial presence of ASEAN law firms by reducing equity limitations and the restrictions on the number of resident lawyers and their residential periods. Also, a “cost-efficient” way that has profound impact on law firms is to legalise the Mode 4 “fly in, fly out” practice. ASEAN states should explicitly aim to allow ASEAN lawyers’ temporary practice within the bloc. The commitments under the ASEAN Agreement on the MNP should permit ASEAN lawyers to use home-country professional titles for practicing non-domestic law in other states. Lastly, it is vital to conclude the ASEAN MRA Framework on Legal Services pursuant to the AEC’s mandate to complete MRAs for professional services by 2015. Recognising the divergence of existing domestic rules for such recognition, an MRA in legal services can be conducted on an “ASEAN Minus X” basis as an initial step. Common law jurisdictions such as Singapore, Malaysia and Brunei may agree to implement MRA disciplines initially, before considering making further commitments. Given ASEAN’s development stage, the legalisation of limited licensing across the region will better suit the pragmatic needs of law firms and the AEC. ASEAN’s limited licensing scheme should first develop Foreign Legal Consultant (FLC) rules in ASEAN jurisdictions, thus clarifying the status of foreign lawyers. Registered FLCs will be allowed to join ASEAN firms, as locally qualified lawyers are permitted to work in foreign firms. The enactment and convergence of ASEAN FLC rules will benefit the internationalisation of the ASEAN legal services market. Moreover, establishing an ASEAN Legal Consultant (ALC) mechanism will grant ASEAN lawyers preferential treatment. The practice areas of an ALC will include laws of the home country, ASEAN law and international law. With the emergence of AEC rules, the capacity to practice ASEAN law will provide ASEAN lawyers with additional advantages in legal practice. In comparison with FLC rules, ALC requirements will be further reduced under prospective AFAS commitments. To realise the AEC’s objective to form a single market and production base, the progressive liberalisation of legal services in ASEAN is crucial. Facilitating cross-border legal practice will enhance the bloc’s legal capacity building and strengthen its status for attracting foreign investment. Consequently, these reform proposals will promote the further integration of ASEAN’s legal services market and fortify the competitiveness of the prospective AEC on the global stage.